The following groups and organisations hold regular sessions at the John Peel Centre. Contact them via the links if you would like more information. Winters Academy are at the heart of dance, parkour, performing arts, and free-running in Suffolk. 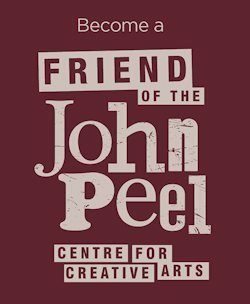 Every Monday evening during term-time they hold classes for mixed styles of dance for youngsters aged 5 to 19 years of age here at the John Peel Centre. Let’s Bop! are dance for wellbeing sessions, and are for women only – You can wear what you like, and it is 90 minutes of fun, fitness, and friendship for women who like a bit of a boogie to some of those classic dance tracks. There is atmospheric lighting and usually a small bar. Look out for their events in the What’s On section of this website, or visit the links below for more details. They hold other sessions in different locations. Bury Tango is a friendly Argentinian Tango club which has built up its reputation over seven years. They are based at The Hunter Club in Bury St Edmunds, but at various times during the year (typically once every two months), Bury Tango hold a Tea Dance here at the Centre, often with workshops. For more information on their classes and events, please visit their website. Every Tuesday during term time, 7pm to 8.15pm, Lisa Vincent holds a session in Hatha Yoga here at the Centre. It is an integrated approach to movement, breath and relaxation with a qualified and experienced teacher. Beginners welcome. or call 01449 737513 for more details.